Search for condos for sale in Long Branch. Long Branch has many condo / townhouse communities. Also there are nine high rise buildings with between 6 and 19 floors. Many of these homes are in a single building or two. Additionally, new construction condos are available. You can find anything you want in Long Branch, from high rise buildings at the ocean’s edge, to condos in Long Branch with ocean views. And there are also riverfront condos that include space to dock your boat. These homes are available in all price ranges, from entry level homes to Million dollar (or more) properties. Long Branch is in the midst of a construction boom, while many of the condos are being built within walking distance of Pier Village. There are also marinas for the boating enthusiasts. Commuters find Long Branch to be an ideal location since, New Jersey Transit has a station in town for the North Jersey Coast Line. And when you consider the great beaches and night life, It’s a great place to live. When students from Long Branch begin school they will attend the Long Branch Public Schools. 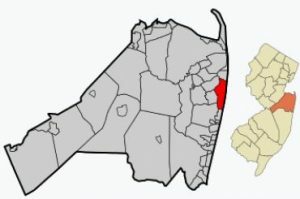 Long Branch is one of 31 Abbott Districts in New Jersey. This school system has one Early Learning Center, five elementary schools, a middle school and a high school in Long Branch. Also, Long Branch has a free Pre-School. This program offers an all-day program for children ages 3-5. All Long Branch schools provide free breakfast. Long Branch Schools also provide a free summer programs for most of the summer. Also, there are several private schools are in Long Branch and the surrounding areas.